Gundam Guy - GG is currently the best source for Gundam related news. Unfortunately he has yet to branch out into other figure and related news. Be on the lookout for his upcoming store. Ngee Khiong - Unfortunately for all NK has closed down. Illegitimi non carborundum. Dalong - This Korean site has detailed photos and reviews of nearly every Gundam (and some other mecha series') models out there. Shows how the kits looks right out of the box, accessories and all. Danny Choo's Gundam Modeling Tutorial - A fantastic one page tutorial that covers everything you need to know to put together a great looking kit. Beginner to intermediate. FitchenFoo's How to Build Master Grade Gundams - One of the best modelers out there, FitchenFoo runs through how to build a kit from start to finish. Beginner to intermediate. Gamera Baenre - An epic collection of tutorials, most with videos. Intermediate to advanced. The Ghost of Zeon: How-To - Ghost of Zeon offers a unique collection of tutorials you won't see anywhere else. Intermediate to advanced. DC23 Mech Art's Tutorials - There is no better resource for those looking to build their own diorama. Intermediate to advanced. Gaijin Gunpla - Syd does some fantastic works and updates on his progress a lot more than I do. Definitely worth checking out. 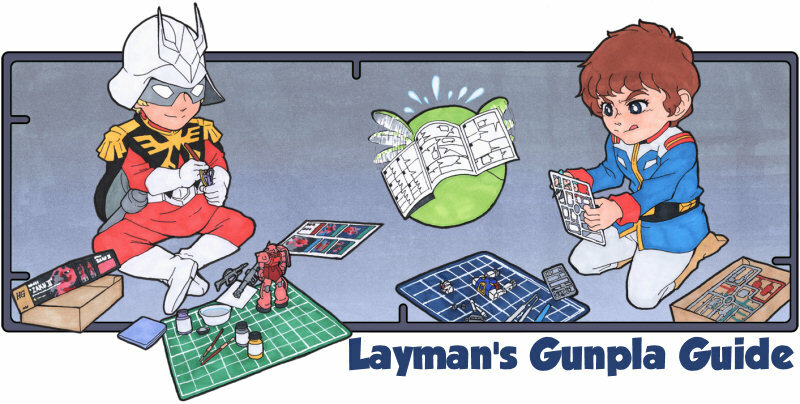 Gundam Australia Forum - A HLJ community filled with friendly builders from all skill levels. Zero-G - A Malaysian gunpla community with a ton of professional builders. Translated Model Kit Color Guides - Most gunpla manuals include a little listing of paint ratios for an optimal color match. Unfortunately, they're in Japanese... fortunately, Mech 9 has some translations.